Amongst all of the Manchester airport hotels lies this delightful hotel offering great value rooms and holiday parking. The Mercure Bowdon Hotel is close to many local attractions, shopping centres and areas of natural beauty, and with great leisure facilities on-site, this hotel makes an ideal choice for a pre-flight stay. Excellent stay at Mecure Hotel in Boden before our flight the next day. Great idea to leave car in hotel car park for a fee and to pick up once taxi had returned us from the airport.Hassle free.Great service. No issues everything ran smoothly. From booking in to taxis to and from airport. As described. Found damage to the rear bumper on my car on returning home. 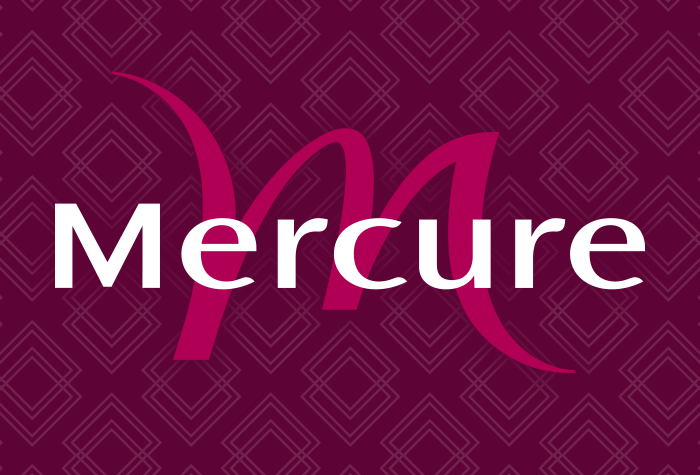 Our customers rated Mercure Bowdon on average 8/10 (537 reviews). Read Mercure Bowdon reviews. A taxi to the airport costs around £12 - £15 and it will take around 15 minutes. For a hotel and parking for the whole of your holiday, search for an airport hotel with parking package instead. For more information, check the transfers tab. The Mercure Bowdon is a 15-minute drive from all terminals in good traffic. Detailed driving instructions and a postcode for satnavs will be on your confirmation email. Arriving by train? The nearest station is Hale. Its just around the corner from the hotel, about 6 minutes walk away. If youd rather get a taxi, itll cost around £4 - £5. If you want to get a train to the airport, youll need to go from Altrincham station, as Hale station is not on the same line. Rooms are bright and modern with large beds. Guests say the rooms are practical but recommend requesting a room on the ground floor if you have a lot of luggage, as the hotel doesnt have a lift. This hotel does not have any accessibility measures in place. If you need an accessible room, we recommend searching for an alternative hotel. The Bowden restaurant offers traditional food choices like fish and chips, burgers and sandwiches. 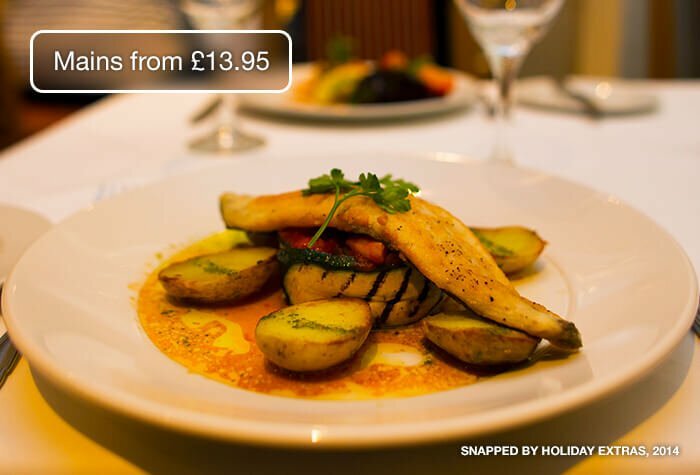 Main meals average around £13.95, but you can get a 3-course meal for £22.95pp when you book in advance with Holiday Extras. Guests say that the service is friendly and the food is generally good. £5.95 for pasta, burger, chicken nuggets or sausages and free soft drink. Please note that the restaurant will be closed on the 25th, 26th and 31st of December and the 1st of January. The Café bar serves a range of beers, wines and spirits. They also have hot food, salads and sandwiches available. 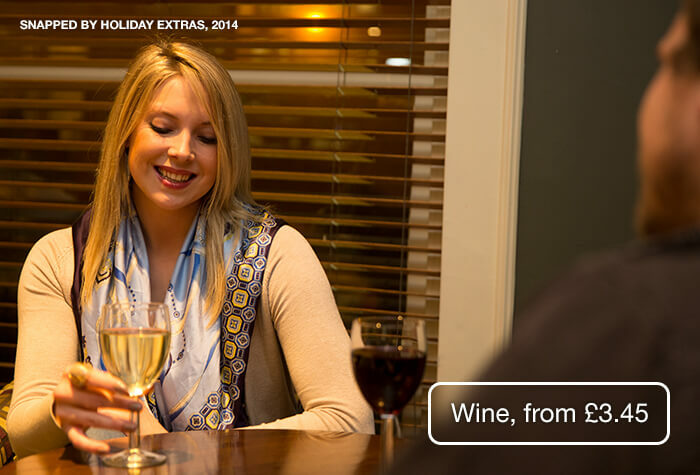 A small glass of wine averages £3.45 and a pint of beer averages £3.90. 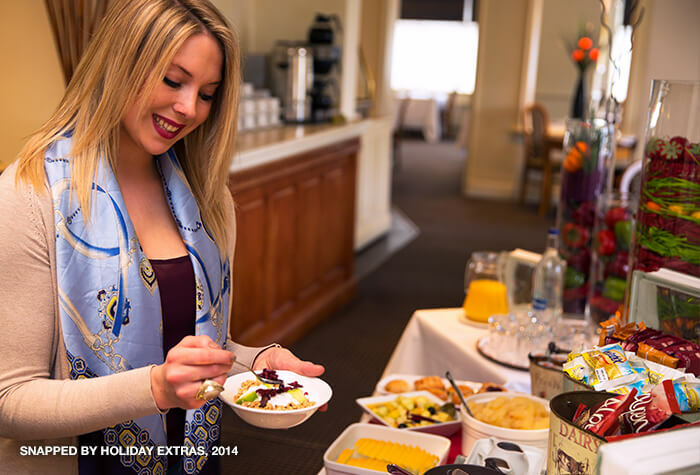 A full English and continental buffet is served, the chef is also able to cook omelettes on request. Guests say the food is good but recommend getting there early for the best variety. 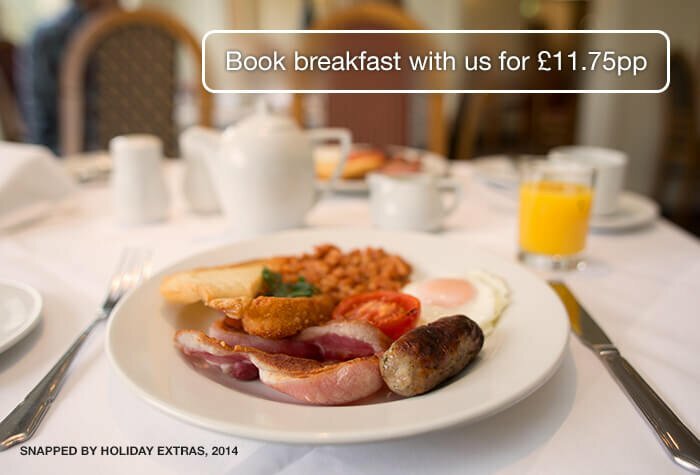 Breakfast is £13.95 per person on the day. 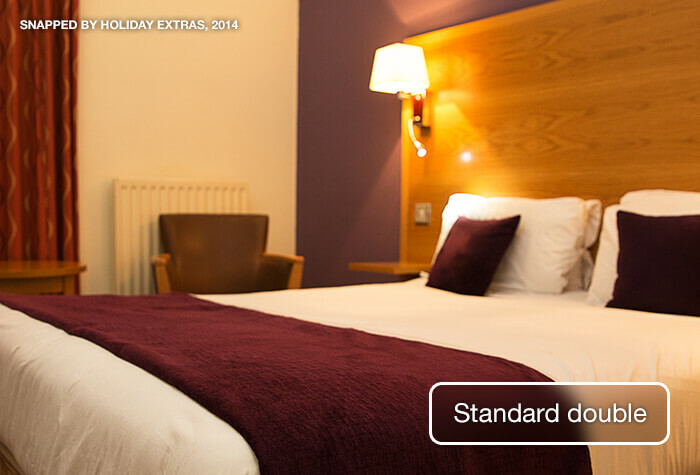 We recommend booking it when you check in with the hotel to get it for £10 per person. Note: The hotel has strict swimming times for children, we recommend checking these with the hotel. Please note that these facilities will be closed on the 25th and 26th of December. There isnt a lift at the hotel, request a ground floor room if you have a lot of luggage. We recommend this hotel for couples and business travellers. Disabled facilities This hotel does not have any accessibility measures in place. Make your way to the hotel - check-in is from 2pm. Overnight parking is free, if you need it. Arriving by train? The nearest station is Hale. Its just around the corner from the hotel, about 6 minutes walk away. If youd rather get a taxi, itll cost around £4 - £5. We recommend a taxi as the best way to get to the airport. Itll take about 15 minutes in good traffic and costs around £12 - £15. 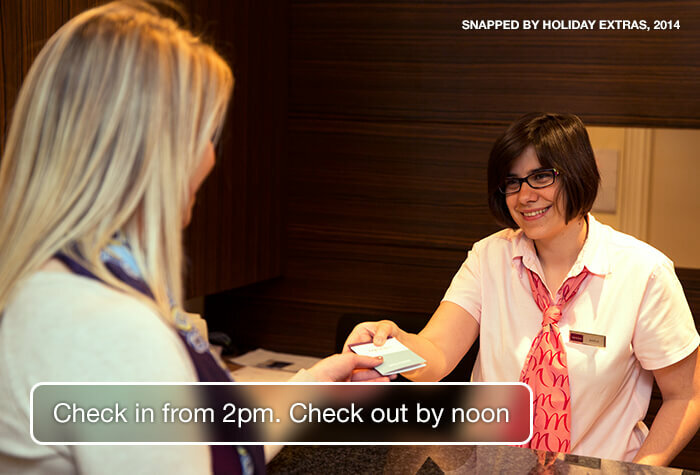 Make your way to the hotel - check-in is from 2pm. Parking for the whole of your holiday is included in the price of this package. Overnight parking is free. Drive to Long-stay T2, the barrier will recognise your number plate and lift. Park in any space, keeping your keys with you. Then take the shuttle bus to the airport. Take the shuttle bus back to Long-stay T2, collect your car from where you parked it and drive to the exit barrier which will lift automatically.